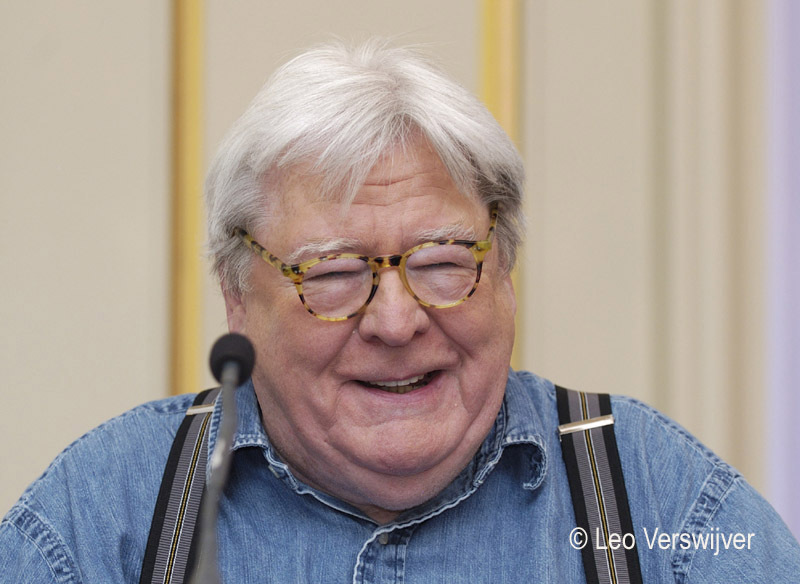 British film director Sir Alan Parker was the guest of honor at the latest edition of the Brussels Film Festival in June, 2014. A press conference was organized at the Steigenberger Grandhotel in Brussels. Sir Alan Parker (b. February 14, 1944, London) began his career in the advertising world of the 1960s, working first as a copywriter and then as a director of commercials. He progressed to feature films from the mid-1970s, directing movies-turned-classics such as “Midnight Express” (1978), “Fame” (1980) and “The Commitments” (1991). But in 2003, after finishing “The Life of David Gale” starring Kevin Spacey, Kate Winslet and Laura Linney, Mr. Parker said “Cut!” for the last time, after a career in films which earned a total of ten Oscars, ten Golden Globes and nineteen BAFTA awards. At the Brussels Film Festival, Sir Alan looked back at his time in the director’s chair. What’s your opinion of the contemporary film scene in Europe? It is getting harder to see a good film now. I have a nine-year old son, so I am familiar with all those big American special effects films. But intelligent films are few and far between – every so often there is a fantastic movie. That’s not to say that there are no intelligent films coming out of the United Stated or Europe, it’s just that special and original films are rare. Films are more about recouping costs and generating revenue these days than pushing artistic boundaries. Now I kind of enjoy not to be making films, to be honest. My wife has this theory that I usually pick a fight with someone before a film starts, usually it’s the person who is giving me the money. But I was directing since I was 24 and now I’m 70, so I’m quite happy to be 70 years old and not to be on a filmset. Being a director, it’s a hard job. In America you have a twelve-hour shooting day, for the director it’s a fourteen or fifteen hour day, six days a week and you do that continually for three months, living in a Holiday Inn. It’s not an entirely enjoyable profession, so I enjoy living a quiet life now. Your colleague Fred Zinnemann once said that as soon as he was through casting, he also had done most of his rehearsals. Does that work for you the same way? That’s very interesting. Fred was a very good friend of mine, he was my mentor, so anything he said, had to be correct. If you get the casting right, you’re probably going to get the film right. If you get the casting wrong, you’ll probably make a bad film because no director in the world can drag a performance out of an actor that’s not already there. If you’re working with children, you could probably manufacture a performance. Fred liked to work with very accomplished actors, as did David Lean who was not the kind of director who would give a lot of instructions. And Fred was the same; if he got Paul Scofield, he knew he’d get a great performance. Fred was the first president of the British Directors Guild, so I got to know him very well. I always had to sit next to him, he had a hearing problem, so he always asked me what they were saying. I got very close to him that way (laughs). You have made several very interesting film musicals, such as “Fame” , “Pink Floyd – The Wall”  and “Evita” . How do you feel about the genre? Well, they were my movies and my personal taste; with “The Wall”, the music was there before the film, and for “Evita” the music and the stage production were there first. But for each film, I tried to do different kinds of music. I love music, two of my sons are musicians – I am not. If you put music and images together, it’s a fantastically strong way to communicate to people. It can improve the drama and emotions in every scene and if you get the wrong music, then it does the reverse. I enjoy lots of different kinds of music, and so I try to bring different kinds of music in my films. But I won’t make another one, unless it’s in heaven, with Frank Sinatra (laughs). As a form, it’s a very difficult genre to do: technically, it’s very tricky. But I’ve had the good fortune to work with some fantastic people like Pink Floyd and Andrew Lloyd Webber. It’s also great if you can make a conventional film with a fantastic score, John Williams’ score for “Angela’s Ashes” for example was a wonderful experience. That is totally different, you don’t quite know what you’re going to get until the orchestra actually starts because he plays the music on the piano, roughly. But John Williams is so brilliant, he will never let you down. 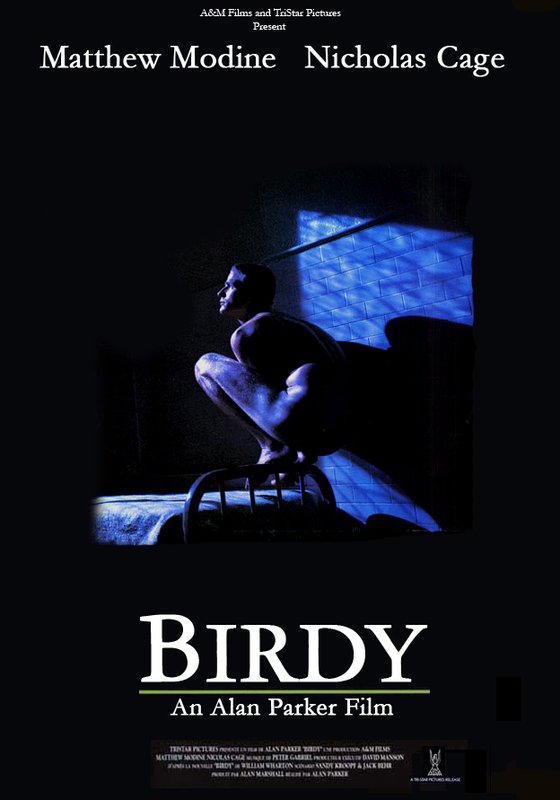 “Birdy”  is one of your films whose ending is opening to interpretation. Is this a conscious use of the device on your part? The American theory is that you don’t leave the audience dissatisfied at the end. The European philosophy is that they don’t care what the audience thinks anyway (laughs). An open ending makes you think at the end – what could have happened – and allows the audience to contribute to the ending. So open endings are mysterious. If a story takes you to a certain conclusion, then you will conclude it. The truth is a lot of filmmakers don’t know how to finish a film, so they let you finish it in your head. American cinema is a little more demanding, and they want audiences absolutely to know how it is concluded because they don’t want to dissatisfy the audience. 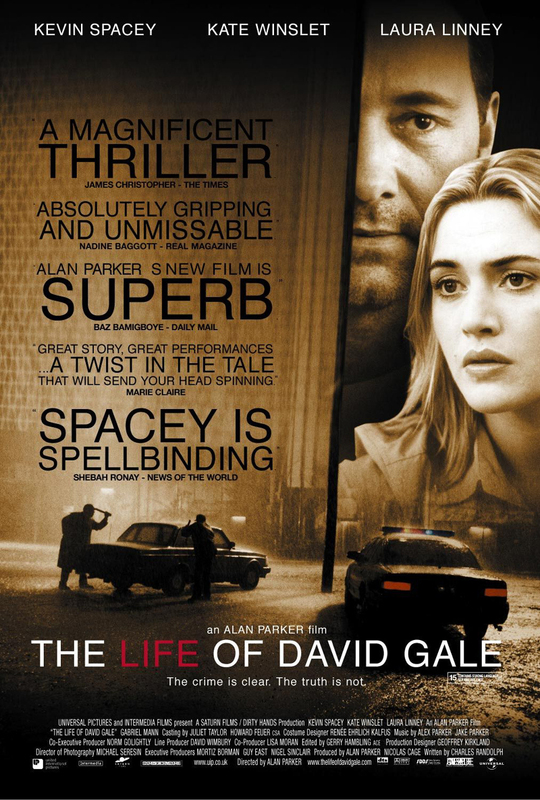 “The Life of David Gale”  was you last movie so far, why didn’t you make one after that because it was a very brilliant movie. In the last ten years, I have written five different things. I always say, writing a script is like making a film, but without a camera. So the five films that are in my head… it’s like having an entire film festival in my head (laughs). But the years go by and now I kind of enjoy my life by not making films. I had been doing it for about thirty years, then there is a gap and suddenly you enjoy that gap. There are too many filmmakers who spend their entire life on a filmset, or in the company of other filmmakers, or in a film studio. I also truly believe it’s a young person’s game, because physically it’s so demanding. You need the creative enthusiasm from the very first moment when you decide you want to do this subject, and you go through the whole period of writing the script and the whole period of making the film, and you still got to retain the same enthusiasm that you’ve had the very first day. Sometimes it’s a two-year cycle, it’s very hard in life to be that enthusiastic about anything day after day. I’ve made fourteen feature films, every one of which I’m very proud, I’m not embarrassed about any scene I’ve ever made. I sort of like that as a completion of the circle. So as long as I can afford to live, making a film is not such a big necessity in my life. I was not forced to retire from film, I just decided that I didn’t want to make another film. One day, I went to the British Parliament and I was confronted by a famous British politician. He said, ‘Alan, why don’t you make another film?’ All I could say, was, ‘I prefer to go to the pub.’ Which is not really a good answer, but it’s the truth (laughs). Do you think the European cinema gets enough financial support for new directors? No, I have been answering this question for twenty-five years. The cinema is dominated by the American industry and the European filmmakers have a hard job getting their films made. That’s been going on for twenty-five years, maybe longer, it was even a nightmare when I started and it still is a nightmare to raise enough money to make films. Without government support, the European cinema will die, that’s the truth. From my own British point of view, I would like to see more films by Mike Leigh, Ken Loach, or by young filmmakers, but only so many films can be made. Unfortunately, making a film costs a huge amount of money, and therefore it doesn’t go far. Every country has that same problem, when you know there are other priorities in life like schools, education and hospitals. What do you think of digital filmmaking? It certainly has democratized the process, it is very easy now to make a movie. When I started, film was very expensive and the camera was very complicated. Now, anyone can buy a digital camera, edit it a film on their computer, and it can be shown on youtube. So physically, it is much easier. With one touch on a button, you can edit a film. Unfortunately, no one gets paid, so it’s a bit of a disadvantage. You once said you’d consider doing a remake of “The Blue Angel” with Madonna, is that right? Well, that was many years ago. That was before I worked with her. The producer was actress Diane Keaton and the idea was to make it with Robert De Niro and Madonna. That was about twenty-five years ago, maybe. It was a good idea, I thought. They wrote the script which was not very good and then they lost interest. It would have been an interesting project, but it didn’t get any further than that. In some of your movies, you refer to other movies you made, like in the video store in “The Commitments”  we see “Birdy”, “Angel Heart” and ”Midnight Express”, and in “Shoot the Moon”  we see a poster on the wall from “Pink Floyd – The Wall”. That’s just vanity, really. If you hang a movie poster on the wall, it might as well be one of your own (laughs). For “Evita”  you chose Madonna, but Meryl Streep was also in the running, wasn’t she? Don’t you have any regrets now because in “Mamma Mia!”  she proved she could also sing very beautifully. When I was first asked to make “Evita” – that was after “Fame”  – I said no, because I didn’t want to do another film with music. 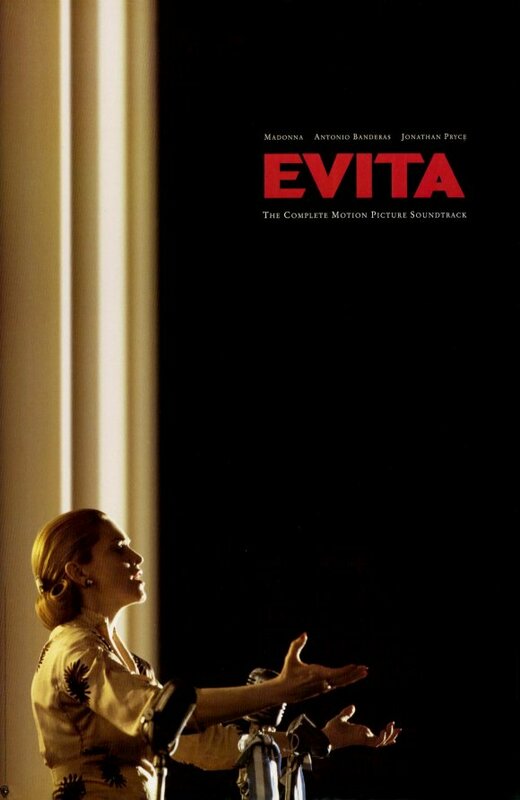 And then many years went by and they tried to make “Evita” – lots of directors and lots of different actresses were involved, like Barbra Streisand, Meryl Streep, you name it, really. Then I came back to the project and at that point Michelle Pfeiffer was going to play Evita. Now, she had two small children at the time and she didn’t want to leave Los Angeles, so she preferred the film to be made on a film set. Eventually, we made the film in three different countries, most importantly in the city of Buenos Aires. So I had to cast the role of Evita again and you have to make a decision then: do you go with a singer who can act, or an actress who can sing? You probably have to compromise one thing or the other, you know. I think Meryl Streep is unbelievably brilliant, she can do anything. But to be honest, she was never considered for the film, so it was never a decision I had to make. I got this four page letter from Madonna, saying she was perfect for the role, which must have worked because I eventually cast her. When you’re on the set shooting a scene, do you need a lot of takes? When I need more than one take, I always move the camera, even if it is only one inch, so it is always slightly different. But you have to be very careful: if you do too many takes, the logic is most actors stop being actors, they stop being in control because they have no idea where they are with their part. Normally, I don’t go any further than take three, four or five – sometimes it’s take one. You also worked for television. How interesting was that to you? I did one television film before my first feature film [“The Evacuees”, 1975]. It was quite successful as it won lots of different awards, including an Emmy in America. So I am not snobby about television. I remember doing interviews in Italy, twenty years ago, explaining the quality of British television to Italian journalists who absolutely could not understand what I was talking about because for them, television was rubbish – if you look at their television, television is rubbish (laughs) – and their cinema is very good. We’ve always had a fantastic history of very good television and some remarkable work is done, so I’m not snobby in that regard. In the United States, you could argue that the very best work is done on HBO rather than in cinema. That’s now the new place where you have to go to if you have a subject, if you have something to say, whether it’d be intellectual or political. For every film that you made, how many projects did you have in your head or in your drawer? Actually, over the years I’ve had a pretty good strike rate: I normally make the film that I was developing, so I kind of made everything I developed. I have been lucky, especially considering this is a very expensive art form. Some directors are very good, they usually have a few balls in the air: chances are it’s not going to happen, not because it’s not any good, but because you’re not going to get your money. Getting the money to make a movie is the most difficult and the most demeaning process that you have to go through. A lot of directors have more than one project going for that very reason, and I never did, to be honest. And even now, with the five subjects that I have, you write it and you see every frame in your head, and then you got to raise the budget – for that reason alone, I’d just leave it. The film is done in my head and it will stay there. Posted in Film director, Film Talk and tagged Alan Parker, Andrew Lloyd Webber, Angel Heart, Angela's Ashes, Barbra Streisand, Birdy, Emmy, Evita, Fame, Frank Sinatra, Fred Zinnemann, John Williams, Ken Loach, Madonna, Mamma Mia!, Meryl Streep, Michelle Pfeiffer, Midnight Express, Mike Leigh, Pink Floyd, Pink Floyd - The Wall, Robert De Niro, Shoot the Moon, The Blue Angel, The Commitments, The Evacuees, The Life of David Gale. Bookmark the permalink.